Your home is far more than just a dwelling place for you and your family to live in. Your home is also your safe house, and there’s nowhere you will feel safer than in your private residence. Your home is an environment where you and your household can go without seeking permission from anyone else, and it is also space where whatever happens during the day, you can even come back and relax and get as comfortable as you want. However, many things can make your home to feel very uncomfortable and unsafe, and when you start feeling unsafe in your private residence, then there is a severe problem. This can make your home to no longer be a comfortable place to live in as it once was. More than any other thing, a home security systems, and alarm monitoring is a deterrent. Potential burglars look for the homes with a low level of security to target. Households with a good security system, alarm monitoring, security signage, or visible security cameras in their doors and windows tell thieves that the home is not an easy place to steal from, and they are more likely not to break into your home. Most advanced security systems and alarm monitoring are built with a notification device which notifies the local authorities in the area whenever an alarm system goes off. This is another good reason to install these security systems and alarm monitoring in your home. This works even when you are away and when you are home, and this allows you to feel safe every hour of the day. Also if someone eventually breaks into your house, they won’t be welcome to stay for an extended period as the alarm system will go off and notify the local authorities. Most advanced home security systems and alarm monitoring protect your home from more than just crime. They are built with special tools which notify you whenever there is a fire outbreak, carbon monoxide, or gas problem. This is an excellent reason to install a home security system as they detect these harmful occurrences before they get out of hand. 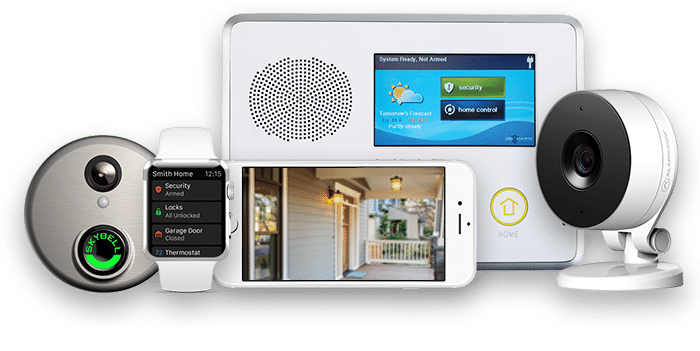 With so many reasons to install a home security system and alarm monitoring, most owners find this reason to be one of the best. Having access to live camera and surveillance have helped so many parents to monitor their children to make sure they are at home. These live security cameras can be observed even through smartphones from anywhere in the world. You can monitor your home also while you are at work or out of the country; this way, you can get to know what your kids are always up to.